Note: Ukraine is divided into 24 oblasti, 2 special municipalities (Kyyiv and Sevastopol') and 1 autonomous republic (Krym)(see under Ukraine). Oblast names are given in Ukrainian with Russian in parentheses. The oblasti were not granted flags during the Soviet era. Names are listed in Russian with Ukrainian in parentheses until 1992, then names are in only listed in Ukrainian (except under Sevastpol'). Ukrainian and Russian BGN/PCGN romanization system is used. [Kyyiv] and Kharkov [Kharkiv] oblasti). 9 Sep 1941 - 21 Sep 1943 German occupation. 28 Jun 1940 Soviet occupation. and Northern parts of Bessarabia). 5 Jul 1941 - 29 Mar 1944 Occupied and annexed by Romania. 15 Mar 2014 - 21 Mar 2014 Mykhaylo Vasylyovych Romaniv (s.a.) Ind? 24 Aug 1941 - 25 Oct 1943 German occupation. 3 Jun 1938 Separated into Stalino oblast and Voroshilovgrad oblast. 20 Oct 1941 - 8 Sep 1943 German occupation. 9 Nov 1961 Stalino renamed Donetsk (Donets'k) oblast. 16 Sep 2014 Autonomy statute passed by Ukrainian government. Russian separatists in areas of Donets'k oblast. of Donetsk from Ukraine with 89.07% of vote. 12 May 2014 Sovereignty proclaimed. 17 Sep 1939 Soviet occupation. 30 Jun 1941 - 6 Aug 1944 German occupation. 21 May 1959 Merged with L'vov (L'viv) oblast. 4 Dec 1939 Stanislav oblast formed (in Western Ukraine, formerly Poland). 26 Jul 1941 - 27 Jul 1944 German occupation. 9 Nov 1962 Renamed Ivano-Frankovsk (Ivano-Frankivs'k) oblast. 7 Aug 1940 Akkerman oblast (formed from most of Bessarabia). 7 Dec 1940 Renamed Izmail oblast. 22 Jul 1941 - 26 Aug 1944 Occupied and annexed by Romania. 15 Feb 1954 Merged into Odessa (Odesa) oblast. 24 Oct 1941 - 16 Feb 1943 German occupation. 14 Mar 1943 - 12 Aug 1943 German re-occupation. [Zaporizhzhya] and Nikolayev [Mykolaiv] oblasti). (from part of Vinnitsa [Vinnytsya] oblast). 8 Jul 1941 - 26 Mar 1944 German occupation. 4 Feb 1954 Renamed Khmel'nitskiy (Khmel'nyts'kyy) oblast. Nikolayev [Mykolaiv], Odessa [Odesa], and Poltava oblasti). 30 Jul 1941 - 8 Jan 1944 German occupation. 19 Sep 1941 - 6 Nov 1943 German occupation. 3 Jun 1938 Voroshilovgrad oblast split from Donetsk (Donets'k). 14 Jul 1942 - 14 Feb 1943 German occupation. 5 Mar 1958 Renamed Lugansk (Luhans'k) oblast. 5 Jan 1970 - 4 May 1990 Renamed Voroshilovgrad oblast. Russian separatists in areas of Luhans'k oblast. of Lugansk from Ukraine with 96.2% of vote. 22 Sep 1939 Soviet occupation. 4 Dec 1939 L'vov (L'viv) oblast formed (in Western Ukraine, formerly Poland). 30 Jun 1941 - 27 Jul 1944 German occupation. [Dnipropetrovs'k] and Odessa [Odesa] oblasti). 16 Aug 1941 - 28 Mar 1944 German occupation. 16 Oct 1941 - 10 Apr 1944 Occupied and annexed by Romania (part of Transdnistria). 18 Sep 1941 - 23 Sep 1943 German occupation. 4 Dec 1939 Rovno (Rivne) oblast formed (in Western Ukraine, formerly Poland). 28 Jun 1941 - 5 Feb 1944 German occupation. 11 Jun 1991 Renamed Rivne oblast. 10 Oct 1941 - 2 Sep 1943 German occupation. 4 Dec 1939 Tarnopol oblast formed (in Western Ukraine, formerly Poland). 2 Jul 1941 - 15 Apr 1944 German occupation. 9 Aug 1944 Renamed Ternopil' oblast. 21 Jul 1941 - 20 Mar 1944 German occupation. 25 Jun 1941 - 5 Feb 1944 German occupation. and Mukacheve on 28 Oct 1944). Transcarpathia to be united with the Ukrainian S.S.R. 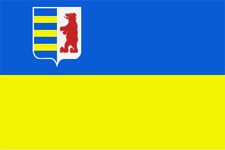 30 Jan 1946 Zakarpatskaya (Zakarpattya) oblast established in Ukrainian S.S.R. 25 Jul 1946 Place names Ukrainianized. 3 Oct 1941 - 14 Oct 1943 German occupation. [Vinnytsya] and Kiyev [Kyyiv] oblasti). 9 Jul 1941 - 12 Nov 1943 German occupation. 19 Nov 1943 - 31 Dec 1943 German occupation. 19 Sep 1941 - 6 Nov 1943 German occupation of the city (as Kiew). from Kiyev oblast), given constitution sanction 20 Apr 1978. 28 Jun 1996 Kyyiv a city with special status within Ukraine. 1 Jul 1942 - 9 May 1944 German occupation of the city (as Sewastopol) . administrative separation from Crimean oblast). 19 Feb 1954 Crimea transferred from Russian S.F.S.R. to Ukrainian S.S.R. Ukrainian S.S.R. and Crimean oblast given constitutional sanction. 23 Aug 1994 Sevastopol' city council requests federal city status within Russia. 6 Mar 2014 Sevastopol' city council votes in favor of joining Russia. 17 Mar 2014 Part of self-declared Republic of Crimea. 21 Mar 2014 Annexed to Russia as a federal city (not recognized by Ukraine). 24 Aug 1941 German occupation of Dnipropetrovs'k. 30 Sep 1943 Soviet re-occupation of Dnipropetrovs'k. 19 Sep 1941 Germans occupy Kiev. 21 Jan 1943 Subject to German military administration (under Army Area South). 6 Nov 1943 Soviet re-occupation of Kiev. 6 Oct 1941 Germans occupy Melitopol'. 21 Jan 1943 Subject to German military administration (under Army Area A). 23 Oct 1943 Soviet Union re-occupies Melitopol'. 16 Aug 1941 German occupation of Mykolayiv. 28 Mar 1944 Soviet re-occupation of Mykolayiv. 9 Jul 1941 German occupation of Zhytomyr. 20 Oct 1941 Generalbezirk Shitomir (Schitomir). 12 Nov 1943 Soviet re-occupation of Zhytomyr. 18 Nov 1943 - 31 Dec 1943 Brief German re-occupation of Zhytomyr. 30 Jun 1941 Germans occupy Brest-Litovsk (in Luts'k 25 Jun 1941). 1 Sep 1941 Generalbezirk Brest-Litowsk. 19 Jun 1942 Renamed Generalbezirk Wolhynien und Podolien. 2 Feb 1944 Soviet re-occupation of Luts'k.